Continuing on with my “Listening to Music Without Understanding It” series, this time with a more practical post! I’ve been recommending music so far here and it’s been a lot of fun to talk to people about music. And while some people have known some of my recommendations, not everyone knows all of them, which is good! I hope that keeps up in a good way. I know I have already made music purchases based on recommendations I’ve gotten from others! So of course from the title you know, I’d like to suggest a few of the places where I’ve found new music over the years. All of this excludes the most obvious ones, I suppose, which are recommendations from friends or, say, bloggers! I’d love to know some of your recommended places or ways to find new music as well, so make sure to add to the conversation in the comments below! Yes, yes, that’s what it’s for. Music radio is there to sell you music, at least in part. This is one of the most direct ways to find music, but not necessarily the best way to find the best music. often, other songs on albums are a lot better. And, many albums are best listened to whole – hearing one song just doesn’t give you a good sense of it. Also, focusing on singles might have you looking at singles only when you buy music – something iTunes lets you do, fair enough, but that doesn’t help you find very much music, or at least not very quickly! However, I feel the need to mention this method, because it is on the radio that I heard “Two Against One” from the album Rome, sung by Jack White (which caught my interest) and produced by Danger Mouse – which, finding this out led me down a road which has led to many of my favorite music purchases – certainly my favorites of the last several years! So some of the secret is finding a radio station you really like, or that does a good job of playing a lot of music. For instance, in Denver I listened to channel 93.3, and it’s great. Oh, and thanks to the Internet age, and services like iHeartRadio, you can listen to channels like this anywhere! Which I do. 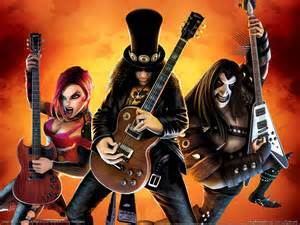 Guitar Hero and Rock Band! I don’t think they’re making these games as much as they were for a period of time, but there are others like them as well – dance ones or whatever. I found a lot of bands I didn’t know about, or had missed, through Guitar Hero. Rather than just focusing on singles, they were focused also on songs that had good music, good solos or skillful playing. That means it was great for finding what a band sounds like, what they are aiming for with their sound. It’s also a way to find a variety of music, by artists you may never have heard of. I think also that “playing” the songs is a good way to connect with them, to enjoy them more. I have a soft spot for many songs from those games, and when I hear them play, it reminds me of good times, spent with friends. One trap they laid with some of the later games was the ability to buy more songs, individually or in packages of, say, songs by an artist. Some of the problem with this is that if you’re spending more and extra money on the content, you’re likely only going to get music you know and know you’ll like – so it doesn’t help you learn new music! Just an observation! I feel like maybe these come and go, but sometimes, there are movies that just end up with these fantastic soundtracks. Generally, these movies are not as good as the soundtrack. It happens. 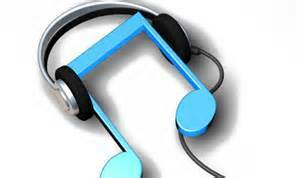 But a good soundtrack, with music made by a variety of artists, can introduce you to a number of artists. Generally, the artists are found for a soundtrack so that they can make music in their normal style, though generally with a new song specific to the movie. That means that they can be another great way to sample artists and their sound, and, when you found ones you like, explore their other work! For an example of some recent good soundtracks, the best ones I can think of actually are the first few Twilight movies. Yep, that’s right. Remember how I said “soundtracks better than the movie?” The soundtrack for the first two was pretty good, and the soundtrack for the third movie was great. Lots of artists that we either already had music from, or have bought music from since. Then again, who needs the Radio when you have Pandora? In recent years, I’ve used this to play some music at work rather than the Radio. Having control is great, for being able to skip or dislike songs. Playing at work, especially, skipping a song someone doesn’t like is great. However, while the negative aspects of Pandora (skipping and disliking songs) are great, the positive aspects, over time, are even better. Over time, as you add sources of music and like songs, it can do a lot for Pandora finding music you may like, and streaming this music to you. I may have to share some of my created channels at some point… I feel like this is an interesting aspect of the service as well that I have not tried. How about you? Any advice on doing more with Pandora? More by the Artists You Know! Okay, while this might seem like cheating, this is the source of most of my music. When I find an artist I like, or an album, well, things start there. With an album, maybe found from a song, or from one of these other sources. From there, one of the best places to turn is if the artist has a greatest hits album or live album. Those are often great sources of music from throughout a band’s existence. From there, you can find out which periods of their music you like – maybe it’s all, maybe just some. Then you know albums to hunt down. For instance, take Rush, one of my favorite bands. They’ve been making music for so long that they have way more albums than I can afford, or have time to spend listening to and really appreciating. So I have turned to several of their live albums, more than anything, to experience their music. From there, I’ve gone back and bought some specific albums – even finding, through this process, an old album that is probably one of the first albums I remember listening to in the car as a kid. So there you have it, a few thoughts as to how to find new music! I love finding new music, because even though I love the music that I already have, finding more just gives me that much more to rotate through and listen to! But how about you? Any other suggestions for finding new music? Let me know in the comments below!